Having one of the best cars for skiing should be a primary consideration before snow conditions are just right and you hanker to get out on the slopes. In order to avoid slipping and sliding on treacherous roads on the way to the ski resort, you want the best and safest car. 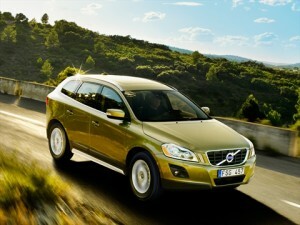 You also want the best car for hauling skis, snowboards and gear up to the mountains. How do you choose? The best choice is all-wheel-drive (AWD). Be sure your chosen car has enough interior space or luggage rack to handle skis, snowboard and gear. Make sure it has all the latest safety equipment, including anti-lock brakes, electronic stability control (ESC), and multiple airbags. Factor in any other prerequisites as well – style, performance, amenities, and personal choice. We’ve selected three of the Best Cars for Skiing based on these primary considerations and included comments from automotive experts to back them up. Subaru Outback – Skiers have long favored the Subaru Outback wagon for its sure-footed ability on snow, and its capability to haul just about anything you need up to the mountain. Forbes lists Outback in its Best Cars for Snow for its “road-oriented all-wheel-drive system and combination of good ground clearance and sure handling.” U.S. News and World Report hails Outback as a “competent alternative to an SUV, thanks to its well-liked all-wheel-drive system.” Edmunds says Outback “offers more off-road chops than other wagons and better handling than most crossover SUVs,” but no third-row seat. 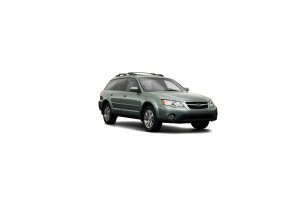 With the rear seats up, Outback has 33.5 cubic feet of cargo space. Chevrolet Equinox – Forbes also likes the Chevrolet Equinox in its Best Cars for Snow for its “decent all-wheel-drive system” and “lower center of mass than truck-like SUVs yet just as much clearance for snow and slush.” Plus, Equinox stows skis, snowboards and gear easily and safely. U.S. News and World Report cites the compact SUV’s “class-leading cargo space and roomy rear seat… well-liked exterior design” and the Sport model’s powerful V-6 engine. A key feature, according to Edmunds, is the adjustable split-rear seat design, allowing seats to slide fore and aft as required to boost cargo capacity or rear legroom. 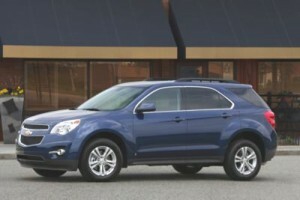 With second-row seats folded down, Equinox has 69 cubic feet of total cargo capacity. Other possible choices for Best Cars for Skiing include Acura MDX, Audi A6, BMW 3-Series, Ford Edge, Subaru Forester or Tribeca, Volkswagen Passat and Volvo XC90.